Home Blog	A Critical Evaluation of Marine Parks: Should Cetaceans Be Kept in Captivity? A Critical Evaluation of Marine Parks: Should Cetaceans Be Kept in Captivity? Cetaceans are types of aquatic mammals that include bottlenose dolphins, orcas, and belugas. Pods of these highly complex creatures inhabit all major oceans and rivers of the world—playing, feeding and traveling with the same companions for the duration of their lives. Rob Laidlaw, a biologist and non-fiction author, credits the boom in public demand for the cetacean entertainment industry to the popular 1962 film Flipper, but the first exhibit to hold a dolphin in captivity was London’s Westminster Aquarium in the 1860s (63). Since their emergence, dolphin shows have become a “phenomenon typical of contemporary American culture,” according to Dr. Susan Davis, Associate Professor of Communication at the University of Pennsylvania. The three main problems with cetacean exhibits, though, is that marine parks have an ineffective role in conservation through education, their captive breeding programs fail to reintroduce cetaceans into the wild, and captivity negatively impacts cetacean welfare. There is a large market for cetacean experiences. Frédéric Ducarme, from the Center of Ecology and Conservation Sciences at The National Museum Of Natural History in Paris, seeks to understand why. Ducarme investigates the important, yet controversial idea of “charismatic megafauna” in modern conservation biology, citing cetaceans as examples due to their apex predator status, their vital role in regulating herbivorous populations and their marine ecosystem maintenance. Naturally, cetaceans attract large public support since they are so culturally and ecologically significant (Ducarme 3). Orcas, specifically, are especially important in Northwest Coast Indian culture; they are often expressed in art and “serve as symbols of social relationships between tribes and, as such, are characters in the mythology” according to Erna Gunther, Professor of Anthropology (9). It is no surprise, then, that the cetacean entertainment industry has grown so large because aquariums summon the charisma that the public already associates with cetaceans and use it to generate profit. Combining education and entertainment in a way that ensures visitor satisfaction, while also maintaining ethical integrity, is a difficult endeavor. Marine parks fail to meet these criteria because they are educationally lacking. 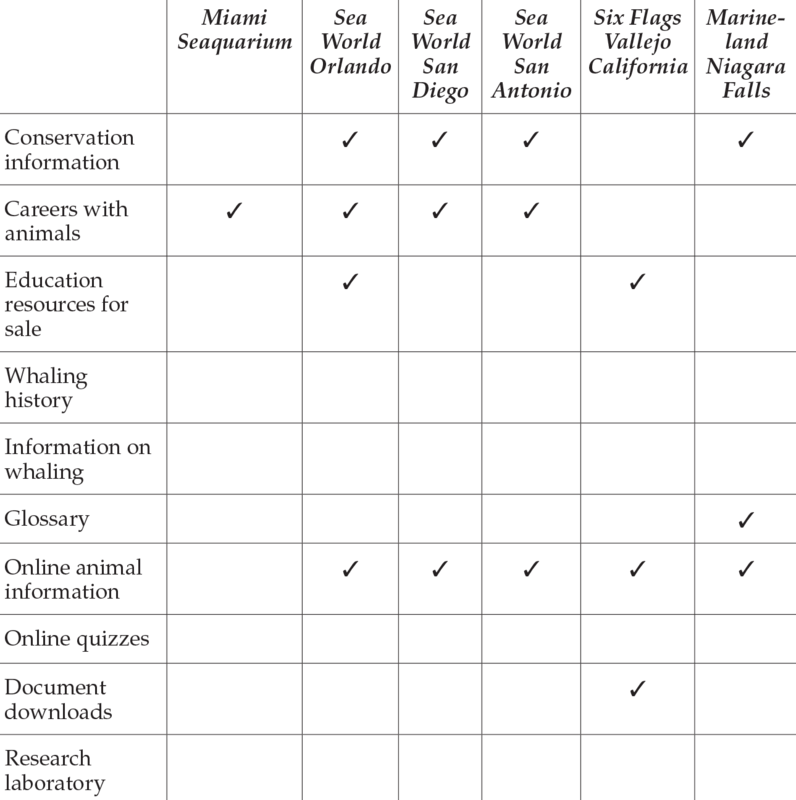 A study by Dr. Michael Lück, a computer scientist and a Professor of Tourism at Auckland University of Technology, finds that the six North American marine parks that he studied have neither a research laboratory nor information on whaling (see table 1). More concerning, though, is that none of the aquaria with “Conservation Information” mention whaling, despite the fact that whaling is one of the largest threats to wild whale populations, revealing a troubling inconsistency in education even when it is present. Source: Modified to include only North American Marine Parks from Lück, Michael and Yixing Jiang. “Keiko, Shamu, And Friends: Educating Visitors To Marine Parks And Aquaria?” Journal of Ecotourism, Sep. 2007, pp. 134. Marine parks typically claim that their two main goals are education and experience. SeaWorld Orlando, a prominent dolphinarium, advertises on its website that it “artfully combines education and entertainment in a way that connects people to the sea and sea life.” This statement reflects a common assumption conveyed by the dolphinaria community: that educating the public about marine mammals will eventually lead people to engage in environmentally responsible behavior, or “conservation through education,” as described by Lück (136). However, Harold Hungerford finds in a discussion of classical models of environmental education, his area of study as a professor, that this linear model to explain the transition from environmental awareness to environmental behavior is inaccurate. What this means for marine parks is that providing simple facts and knowledge about marine life is not enough to invoke environmental activism (Hungerford 267). 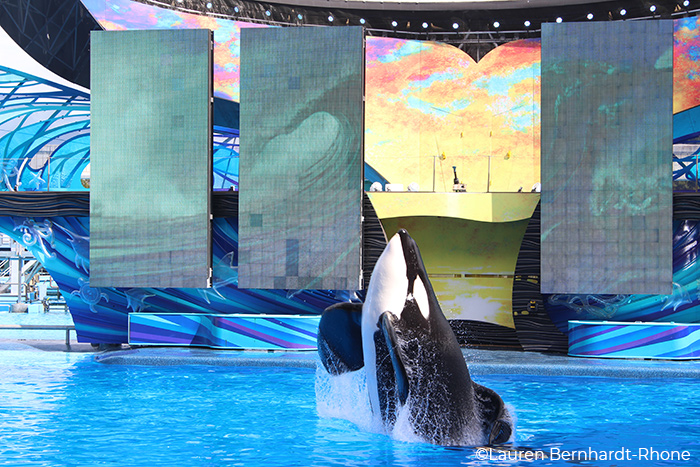 In SeaWorld’s Shamu show, for example, “the audience is asked whether Shamu is a fish or a mammal and is told that it is a mammal” according to Susan Davis, professor of communication (qtd. in Dougherty 345), but teaching an audience this fragment of information will not be particularly effective at shaping visitor behavior to be more environmentally responsible. Hungerford describes shaping human behavior as “the ultimate aim of education,” so if marine parks are ineffective at this, then they are not fulfilling the ultimate goal of education (1). The only remaining justification in SeaWorld’s statement for their practices is that they facilitate the connection between human and sea life, which should ultimately translate into environmentally responsible behavior. Arthur Schlesinger Jr., an influential American historian, would agree. While Schlesinger is referring to historiography in his work, “The Historian as Participant,” the essence of his argument can be applied to cetaceans in that truth is sometimes best captured in witnessing events because participation “sharpen[s] the historian’s judgement” (348). Participation in cetacean experiences could inspire people to take actions to protect the environment. However, unless personal experience and surface-level ecological facts are accompanied by other variables—such as environmental sensitivity, personality factors, and an in-depth understanding of issues and action strategies, as listed by Hungerford (260)—inspiring responsible environmentalism in visitors will not occur. Furthermore, Inka Holopainen master’s thesis at the University of Helsinki states that “watching animals in captive-settings and in shows [does] not seem to evoke as many or as strong experiences as meeting them in the wild” (2). 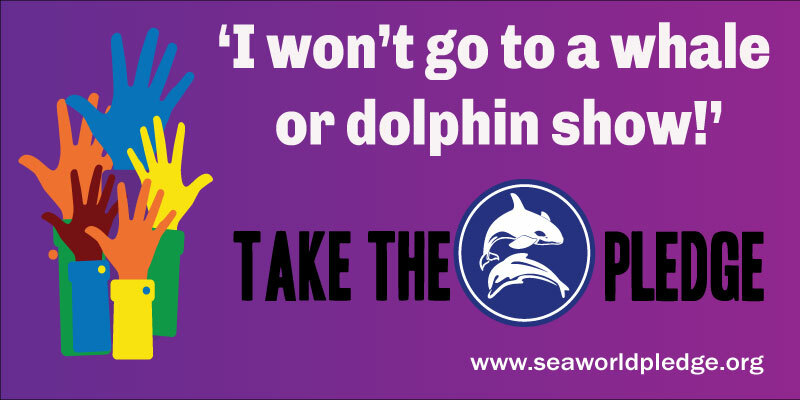 Not only are marine park cetacean experiences not enough to fulfill the goal of education, dolphinarium-mediated cetacean experiences are weaker and less authentic than experiences with wild cetaceans. Overall, the framework of marine parks is reliant on the idea that the value of education and entertainment justifies keeping cetaceans in captivity. However, neither education nor personal experience are effective at inspiring environmentalism in their visitors, so marine parks do not achieve the ultimate aim of education. Some even argue that the educational role of marine park’s constitutes miseducation. Randy Malamud, English professor and author of several books regarding the ethics of animals in captivity, argues that presenting marine mammals in decontextualized environments not resembling the wild is “a delusory vision of how other animals really live in our world” (63). Moreover, the accessibility of aquariums offer “an opportunity for people to observe animals conveniently,” further reinforcing the inferiority of animal species (Malamud 63). Contrary to the tendency of marine parks to project an image of environmental excellence, displaying a cetacean in a tank —however clean, safe, or well kept —is an ecologically oppressive act that presents cetaceans as inferior to their audience. 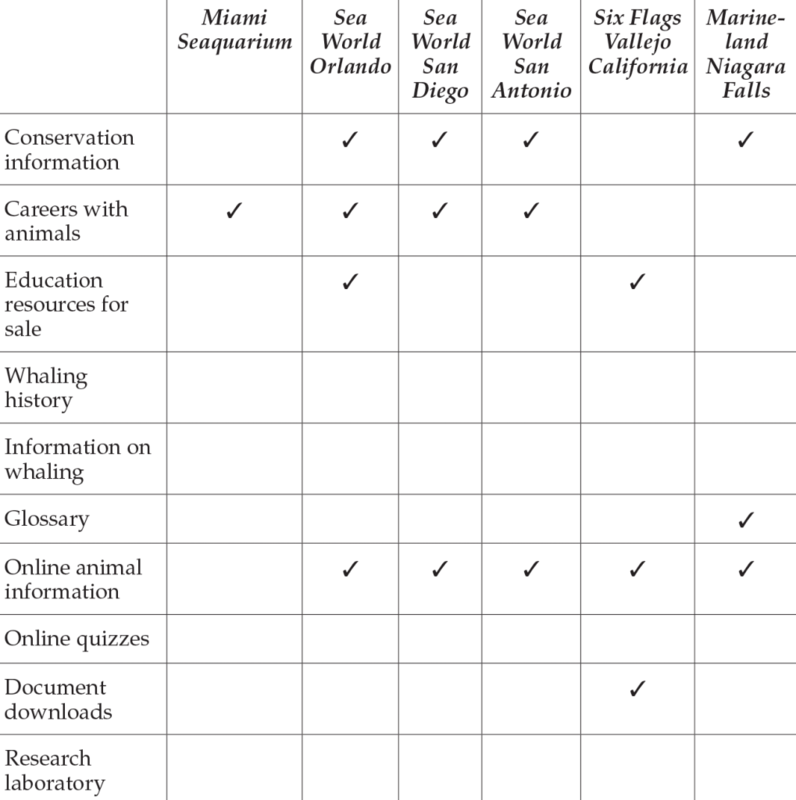 The ethical miseducation of captivity further shows that cetacean exhibits maintain an insubstantial role in environmental conservation through education. The second problem with captivity is that marine park captive breeding programs have not benefited wild cetacean populations. The Shedd Aquarium, for example, states that its beluga breeding programs “refine what we know about these whales and make new discoveries” (Shedd Aquarium). However, “making new discoveries” is not the goal of captive breeding. Rob Laidlaw, a biologist and founder of several agencies for animal protection, states that captive breeding is “the production of a genetically viable, self-sustaining population of a particular species, with the surplus from that population being reintroduced back into the wild as soon as possible” (64). Marine park captive breeding by this definition, Laidlaw continues, has historically been an “unmitigated failure” (64). Ceta-Base, a database of worldwide captive cetacean activity, reiterates the widespread failure of captive breeding programs across North America. Of the 626 captive whales and dolphins in the United States and Canada, 72% of them were a product of captive breeding. Between the years of 2010 and 2017, American marine parks collectively released four cetaceans back into the ocean (Ceta-Base). Because aquariums are not enhancing the recovery of wild cetacean species by reintegrating them back into the wild, they are unreliable at conservation through captive breeding. The third problem with captivity is that captivity-associated health problems consistently challenge the ethical decency of marine parks. Dr. Naomi Rose, a prominent marine mammal scientist for the Humane Society, an animal protection organization, explains that toothed whales often develop broken teeth and exposed pulp from chewing on the walls and gates of their tanks as a result of aggression, chronic stress, or boredom— providing a direct route for infectious agents and making whales vulnerable to serious infection, heart disease, pneumonia, or death (6). Additionally, John Jett and Jeffrey Ventre of the Oceanographic Environmental Research Society have even reported several instances in which captive orcas have developed mosquito borne illnesses. The whales at marine parks, Jett and Ventre state, “spend hours each day (mostly at night) floating motionless (logging) during which time biting mosquitoes access their exposed dorsal surfaces” (9). Further, a dissertation by Robert Scott Suydam, published by the National Oceanic and Atmospheric Administration (NOAA), estimates that the longevity of belugas in the wild is at least 60 or 70 years (Suydam 53). However, a Federal Marine Mammal Inventory Report, cited by the Boston Globe, estimates that the average life expectancy for beluga whales in captivity is 19.5 years (Schneider), showing that captivity decreases the life expectancy of cetaceans. Severe tooth infections, mosquito-borne viruses, and lower life expectancies are captivity-associated issues that wild orca do not encounter. One may argue that, as opposed to captivity, the wild is not idyllic freedom; wild dolphin populations encounter their own forms of imprisonment, such as “predation, disease, parasitism, debilitating or lethal competition, sexual rivalry, and all the other aspects of ‘nature red in tooth and claw,’” according to British zoologist Michael Robinson (350). Nonetheless, the fact that captivity comes at the direct expense of cetacean welfare is a strong indication that the practice should be abolished. Keeping a dolphin in isolation from its original cultural group is also disruptive to the individual and the interconnected social system of its former community. Janet Mann, a Georgetown University biology professor, conducted a social network analysis of Indo-Pacific Shark Bay bottlenose dolphins in 2012. 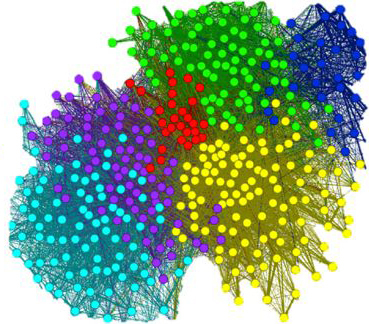 Figure 2 is a network cluster, which biologists use to visually represent complex social connections between organisms. Fig. 2. Janet Mann et al. “Network Clusters.” Nature Communications, 4 Dec. 2012, doi: 10.1038/ncomms1983. a. The nodes on the cluster represent individuals, the edges represent affiliations between dolphins, and the colors indicate cultural subgroup. Mann’s results support an emerging idea that dolphins exhibit cultural behavior due to their “flexible social system, plastic behavioural repertoires, vocal learning abilities, a high social tolerance, slow life histories, imitation abilities and large brains” (5). While biologists still have much to learn in this field, it can be concluded that the intense social conditions in which cetacean populations thrive cannot be duplicated in captivity. There are more reliable ways to expose people to cetaceans without being as disruptive to individual animals and their former communities. Robbins Barstow, founder of Cetacean Society International, proposes whale watching tours as a means to promote public awareness education. These operations would require increased regulation to ensure that tours are non-disruptive; Barstow insists that the United States should require boats to stay at least 100 feet away from whales and limit engine use and boat traffic in whale populated areas so as not to drive cetaceans out of the area or disrupt their mating or feeding patterns (161). If carried out responsibly, whale watching tours are authentic alternatives to captivity. Because whale watching trips are not financially possible for all families, another emerging industry that could replace dolphin shows is virtual reality technology. Gershon Dublon and Joseph Paradiso of the Massachusetts Institute of Technology Media Lab are redefining the concept of presence using DoppelLab technology, a technology that uses digital and biological sensory data to allow people “to virtually travel to distant environments and ‘be’ there in real time” (Dublon and Paradiso 12). An example of their digital environmental immersion is the Living Observatory, which uses real-time temperature, light, motion, humidity, and sound data to aid in freshwater wetland restoration projects (Dublon and Paradiso 12). Virtual reality technology, like DoppelLab, has the potential to greatly improve environmental education. Dolphinariums have historically attracted a wide audience as centers for environmental education and entertainment. Unfortunately, these institutions are ineffective at fulfilling the ultimate aim of environmental education: inspiring environmentally responsible behavior. The promotion of human superiority, a hesitance to reintegrate cetaceans back into the wild, the proven physiological costs of captivity on cetaceans, and the discovery of exceptional cetacean intelligence degrade the ethical integrity of marine parks. In the future, virtual reality technology coupled with recreational whale watching could support the public demand for cetacean experiences, eliminating the need for marine parks to keep cetaceans in captivity and provide more responsible environmental education. Therefore, marine parks should discontinue the financial exploitation of cetaceans by phasing out all cetacean acquisition programs and theatrical shows. Barstow, Robbins. “Non-Consumptive Utilization of Whales.” Ambio, vol. 15, no. 3, 1986, pp. 155–163. JSTOR, JSTOR, www.jstor.org/stable/4313240. Accessed 16 April 2018.
captive/cetacean/timeline/. Accessed 10 April 2018. ?isbn=9780520209817. Publisher Description. Accessed 3 April 2018. Dublon, Gershon and Joseph Paradiso. “Extra Sensory Perception.” Scientific American, vol. 311, no. 1, 17 June 2014, pp. 36-41.
bibliographies/pdf/m1-11-12-biosci-reviews-ducarme-f-2c-m.pdf?lang=fr. Accessed 6 April 2018. Gunther, Erna. Art in the Life of Northwest Coast Indians. Based on the Rasmussen Collection at The Portland Art Museum, Superior Publishing Company, 1966. Harold R. Hungerford. “Changing Learner Behavior Through Environmental Education,” The Journal of Environmental Education, vol. 21, no. 3, 8-21, 2013, pp. 259, doi: 10.1080/00958964.1990.10753743. Accessed 18 April 2018.
https://helda.helsinki.fi/bitstream/handle/10138/37024/animalen.pdf?sequence=1. Accessed 21 April 2018. Jett, John, and Jeffrey Ventre. “Orca (Orcinus Orca) Captivity and Vulnerability to Mosquito-Transmitted Viruses.” Journal of Marine Animals and Their Ecology, Oceanographic Environmental Research Society, vol. 5, no. 2, 2012, pp. 9–16, endcap.eu/wp-content/uploads/2015/06/Jett-Ventre-2012-Orca-captivity -vulnerability-to-mosquito-transmitted-viruses.pdf. Accessed 8 April 2018. Laidlaw, Rob, and Desmond Tutu. “Marine Mammals In Captivity.” The Global Guide to Animal Protection, edited by Andrew Linzey, University of Illinois Press, 2013, pp. 63–65, JSTOR, www.jstor.org/stable/10.5406/j.ctt2tt9r9.37. Accessed 5 April 2018. Marine Parks And Aquaria?” Journal of Ecotourism, Sep. 2007 pp. 134, doi:10.2167/joe125.0. Accessed 5 April 2018. Malamud, Randy, and Desmond Tutu. “The Ethics Of Zoos.” The Global Guide to Animal Protection, edited by Andrew Linzey, University of Illinois Press, 2013, pp. 62–63, JSTOR, www.jstor.org/stable/10.5406/j.ctt2tt9r9.36. Accessed 5 April 2018. Mann, Janet et al. “Social Networks Reveal Cultural Behaviour In Tool-using Using Dolphins.” Nature Communications, vol. 3, no. 980, 4 Dec. 2012, doi:10.1038/ncomms1983. Accessed 6 April 2018. Robinson, Michael H. “Global Change, the Future of Biodiversity and the Future of Zoos.” Biotropica, vol. 24, no. 2, 1992, pp. 345–352. JSTOR, JSTOR, www.jstor.org/stable/2388528. Accessed 16 April 2018. Rose, Naomi. “Killer Controversy: Why Orcas Should No Longer Be Kept in Captivity.” Humane Society International and The Humane Society of the United States, Sep. 2011, www.hsi.org/assets/pdfs/orca_white_paper.pdf. Accessed 6 April 2018. Schlesinger, Arthur. “The Historian as Participant.” Daedalus, vol. 100, no. 2, 1971, pp. 339–358, JSTOR, JSTOR, www.jstor.org/stable/20024007. Accessed 2 April 2018. Schneider, Mike. “Analysis Shows Long Lives at SeaWorld.” BostonGlobe.com, 4 July 2014, www.bostonglobe.com/news/nation/2014/07/03/some-seaworld-mammals-survive-longer-captivity/JWxo6cwSRpmVXfEW9RRrxK/story.html. Accessed 13 April 2018. SeaWorld Orlando. “Educational Programs.” SeaWorld, SeaWorld Parks & Entertainment, Inc. 2018, seaworld.com/orlando/educational-programs/. Accessed 8 April 2018. Shedd Aquarium. “On-Site Research and Breeding Programs.” Conservation and Research, 2018, https://www.sheddaquarium.org/Conservation–Research/Onsite-Research –Breeding-Programs/. Suydam, Robert Scott. Age, growth, reproduction, and movements of beluga whales (Delphinapterus leucas) from the eastern Chukchi Sea. University of Washington, 30 March 2009, https://search.proquest.com/openview/5f8940aa30b7de0a40aa 0f33b5fbc63c/1?pq-origsite=gscholar&cbl=18750&diss=y. Accessed 15 April 2018.